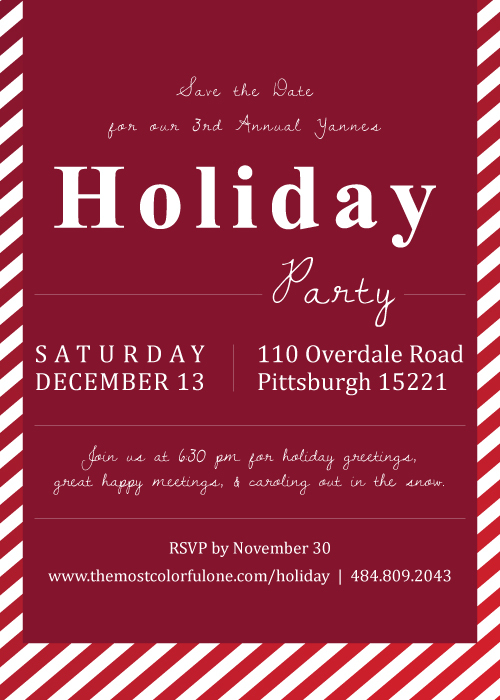 3rd Annual Holiday Party on SATURDAY, DECEMBER 13th at 6:30 PM! Please remember to bring a wrapped gift (~$15) to participate in the White Elephant Gift Exchange. Carol books assembled - start practicing!